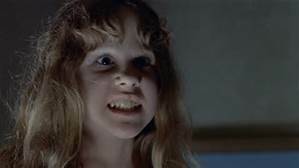 Rome, Italy, Mar 17, 2016 / 06:01 am (CNA/EWTN News).- Recognizing the difference between a person who's possessed and a person struggling with a mental illness or other infirmity is a vital part of the ministry of exorcism, according to a long-time exorcist and priest. At a press conference today in the nation’s capital, Cardinal Emeritus Roger Mahoney of Los Angeles announced that the USCCB is petitioning the Congregation for Divine Worship and the Sacraments to require that parishioners give a “good, humanity affirming squeeze” following the doxology which concludes the Lord’s Prayer during Mass. Marquette University ( a Jesuit University) has moved to suspend and then fire Professor John McAdams for backing a student who tried to defend man-woman marriage when a leftist teaching assistant shut the student down. McAdams posted the instructors name on his blog. She complained. “Abbate, of course, was just using a tactic typical among liberals now. Opinions with which they disagree are not merely wrong, and are not to be argued against on their merits, but are deemed ‘offensive’ and need to be shut up,” McAdams’ post continued. Over the weekend, McAdams posted excerpts from a letter he received from Marquette University officials detailing the penalty facing him for for his 2014 post. 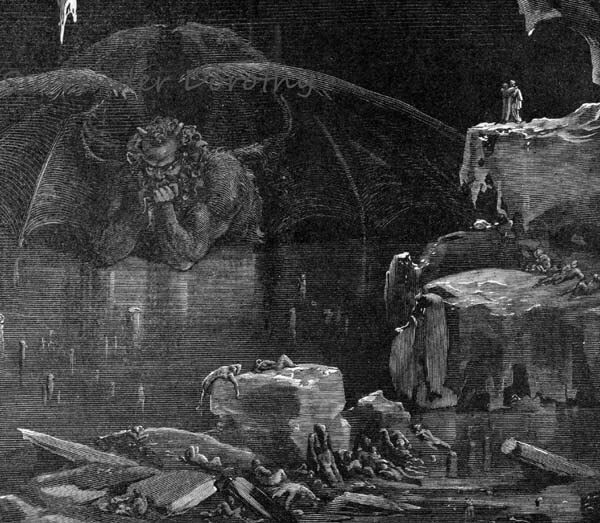 In his blog post over the weekend, McAdams said Lovell's demands were "reminiscent of the Inquisition, in which victims who 'confessed' they had been consorting with Satan and spreading heresy would be spared execution." In addition to admitting wrongdoing, McAdams said, the Marquette administration is asking him to affirm and commit "that your future actions and behavior will adhere to the standards of higher education as defined in the Marquette University Faculty Handbook, Mission Statement and Guiding Values" if he wants to return to the faculty. "The addition of a demand that we abase ourself and issue an apology and sign a loyalty oath to vaguely defined 'guiding values' and to the university's 'mission' is obviously a ploy by Marquette to give the administration an excuse to fire us," McAdams wrote in his blog post. 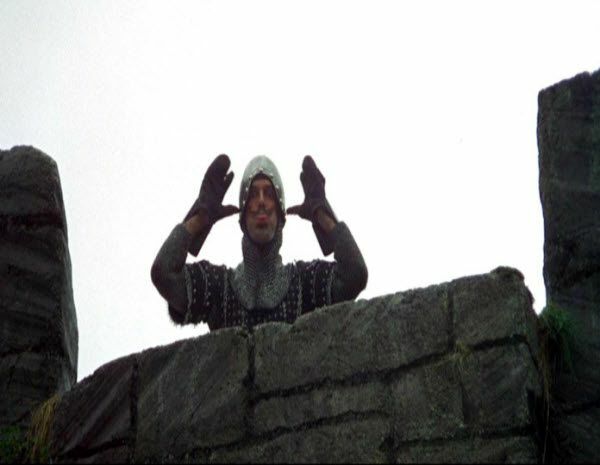 "They have calculated, correctly, that we will do no such thing." Here's an excerpt from an article from the Boston Globe. Can you spot what is missing? 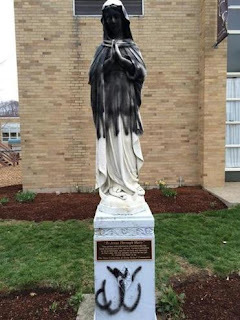 A statue of the Virgin Mary at St. Catherine of Siena Parish in Norwood was vandalized with black spray paint on Good Friday, the most sacred day of the year for Catholics. The body of the statue, which depicts the Blessed Mother with praying hands, was covered in paint. Graffiti was scrawled beneath a plaque that reads “To Jesus Through Mary,” on the base of the statue, which stands in a garden outside the parish school. In a tweet posted Saturday night, Norwood Police asked the public for help. Hey! 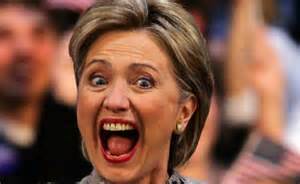 I have a clue for you! What is that spray painted on the base of the statue? Is it the ARABIC SYMBOL FOR ALLAH??? 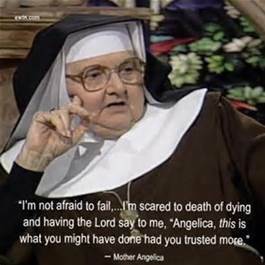 HANCEVILLE, Alabama – Mother Mary Angelica, a Roman Catholic nun who started a global religious media empire in a garage in Alabama, has died. She was 92. Watch and listen as Sister Angelica lowers the boom when she finds a woman played Christ in a reenactment of the Stations of the Cross. The Indian Catholic priest kidnapped by ISIS - linked terrorists in Yemen earlier this month was crucified on Good Friday, it has been claimed. 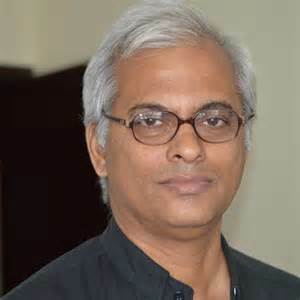 Father Thomas Uzhunnalil, 56, was taken by Islamist gunmen, reportedly linked to ISIS, who attacked an old people's home in Aden, southern Yemen, killing at least 15 people, on March 4. 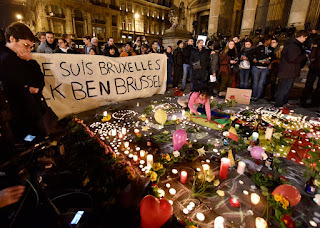 The terrorists reportedly carried out the heinous murder on Good Friday, after threatening to do so earlier in the week, according to the Archbishop of Vienna. Dear Brothers and Sisters, Happy Easter! Jesus Christ, the incarnation of God’s mercy, out of love for us, died on the cross, and out of love he rose again from the dead. That is why we proclaim today: Jesus is Lord! Before the spiritual and moral abysses of mankind, before the chasms that open up in hearts and provoke hatred and death, only an infinite mercy can bring us salvation. 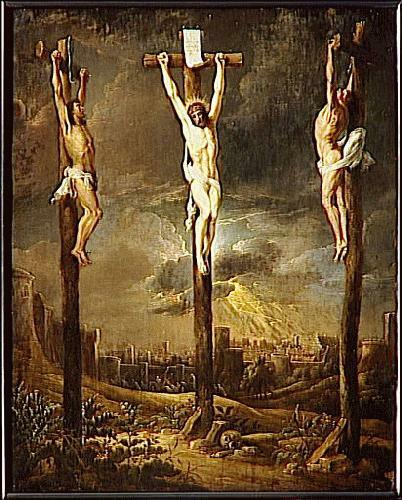 Only God can fill those chasms with his love, prevent us from falling into them and help us to continue our journey together towards the land of freedom and life. . . .
Andria, Italy, Mar 25, 2016 / 06:38 pm (CNA).- A single thorn held to have been taken from Christ's crown of thorns that traditionally 'bleeds' each time that Good Friday falls on March 25, has done so again this year. Bishop Raffaele Calabro, Bishop Emeritus of Andria in Italy's Apulia region, confirmed today that the thorn has bled. “The miracle has started, the wonder is underway,” Bishop Calabro stated. The thorn has been kept in a reliquary in Andria's cathedral since 1308. Or it would be if not for the fact it is the Feast of the Annunciation. Or it would be except Good Friday takes precedent over the Annunciation. Dismas is the penitent thief who is crucified with Christ on Golgotha. He doesn't have a name in the Catholic Bible, but he is mentioned in the apocryphal " Gospel of Nicodemus". The Biblical apocrypha (from the Greek ἀπόκρυφος, apókruphos, meaning "hidden") denotes the collection of ancient books found, in some editions of the Bible, in a separate section between the Old and New Testaments or as an appendix after the New Testament. Although the term apocrypha had been in use since the 5th century, it was in Luther's Bible of 1534 that the Apocrypha was first published as a separate intertestamental section. To this date, the Apocrypha is "included in the lectionaries of Anglican and Lutheran Churches." Moreover, the Revised Common Lectionary, in use by most mainline Protestants including Methodists and Moravians, lists readings from the Apocrypha in the liturgical calendar, although alternate Old Testament scripture lessons are provided. Dismas is the patron saint of undertakers. FIRED? They Should Have Given Him a Raise and an Apology! A former custodian at St. Cecilia Cathedral was ordered to pay a $100 fine and court costs Thursday after pleading guilty to misdemeanor criminal mischief for damaging property at the church’s annual flower festival. 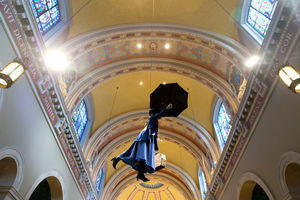 Mark F. Kenney, 59, said he disagreed with the secular content of the show’s 2016 theme of “A Night at the Movies.” He admitted that on Jan. 29, he took a pair of bolt cutters, walked onto a catwalk high above the main sanctuary and cut a steel cable, sending a suspended Mary Poppins figure crashing to the floor. 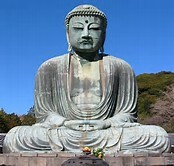 After that, Kenney went downstairs and removed a cardboard Buddha figure from the Nash Chapel, which also featured costumed mannequins from “The King and I.” He threw the Buddha out one door and proceeded to toss costumed mannequins out two other doors. 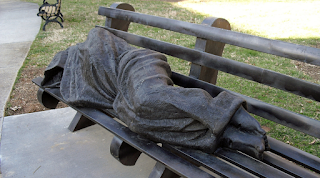 A life-size bronze statue, the "Homeless Jesus," has been placed in the Sant'Egidio courtyard of the Vatican during Holy Week. The statue, the work of Canadian artist Timothy Schmalz, depicts Jesus stretched out on a bench, coverd with a light blanket. Copies of the same work are on display in several countries, with one at the entrance to Rome's Santo Spirito hospital. Were Mary and Joseph homeless, too? And when did they put park benches in Jerusalem? To me, this is a dumb as the shrines/remembrances that spring up whenever there is a horrible event. Flowers, Teddy Bears, signs declaring solidarity.... all done to assuage consciences and avoid having to actually DO SOMETHING. Los Negritos (The Blacks). Prior to 1400. Up to the mid 19th century, only black people (both free and slave) could be full members. La Exaltación (The Exaltation). 16th century. Nicknamed los caballos (the horses). Las Cigarreras (The Cigarmaking Girls). 1563. Quinta Angustia (Fifth Anguish). 1541. El Valle (The Valley). 1590. Pasión (Passion). 1531. The image of Jesus is a masterpiece of Juan Martínez Montañés. I made a mental note to look up the origins some day. Well, this morning on Father Z's blog he answered the question for me! This year our Wednesday of Holy Week, 23 March, coincides with the beginning of the Jewish holiday Purim, which celebrates how God, through Esther and her adoptive father Mordechai, saved the lives of the Jewish people from the hateful Hamman and the King during the Persian captivity. One of the customs of Purim is to read or sing the whole scroll of the Book of Esther, which is called “the whole megillah (megillat – scroll)”. There are several “megillah books”, but Esther is probably the most associated with the word. During the singing of the whole megillah, when the name of the evil Hamman is pronounced, the people often shout and make noise with noisemakers to blot out his name, a kind of damnatio memoriae. 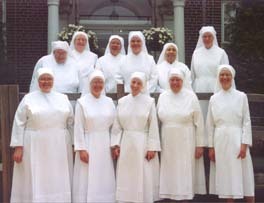 On March 23, the Supreme Court will hear oral arguments in the Little Sisters of the Poor’s legal challenge to the Obama administration’s so-called religious “accommodation” to its contraceptive mandate. The Sisters are a group of nuns who’ve dedicated themselves to serving the elderly poor. They — along with numerous other religious organizations — are challenging their required role in facilitating their employees’ access to free contraceptives, including contraceptives that can function as abortifacients. The stakes of the case extend far beyond access to contraceptives. The Court’s holding could reaffirm America’s historic commitment to religious liberty or restrict its free exercise for decades to come. Read the whole thing by David French in National Review. 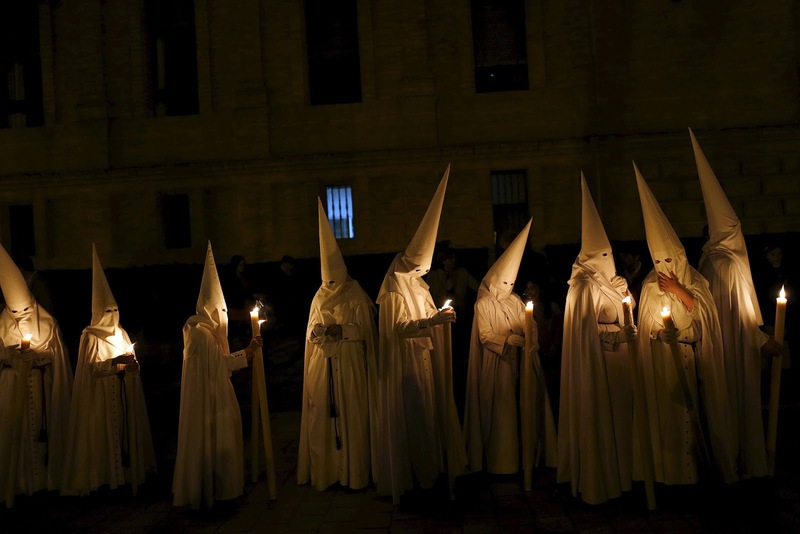 Penitents of La Paz brotherhood hold a Holy Week procession in Seville, Spain. 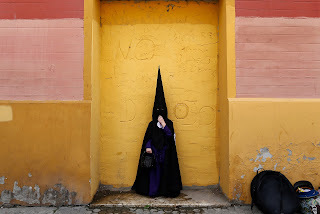 Holy Week in Saville, Spain is unique and historic. 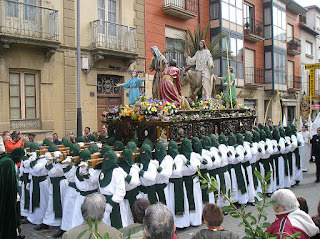 There are processions every day. 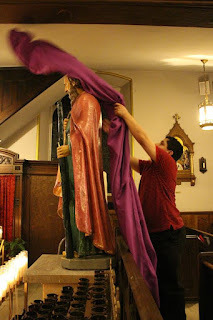 starting on Palm Sunday (The Penitents of La Paz march that day). Each parade has at least three pasos, elaborate statues depicting the Passion or Mary. 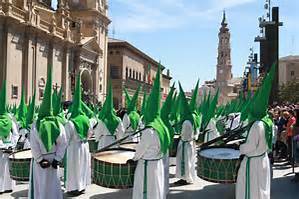 The La Paz Brotherhood above are wearing capirotes, which are the long point hats with eye holes cut into them. The are not part of the Penitents, rather, they are part of the nazarenos. Colours, forms and details of the habit are distinctive for each brotherhood - and sometimes for different locations within the procession. 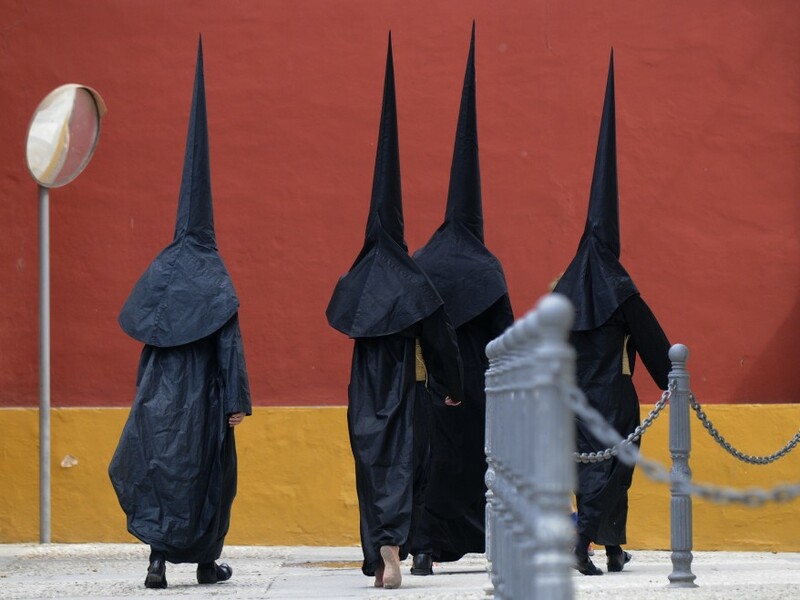 Usually the Nazarenos march in pairs, and are grouped behind insignia. Moving between the lines are diputados de tramo, guardians who keep the formations organized. 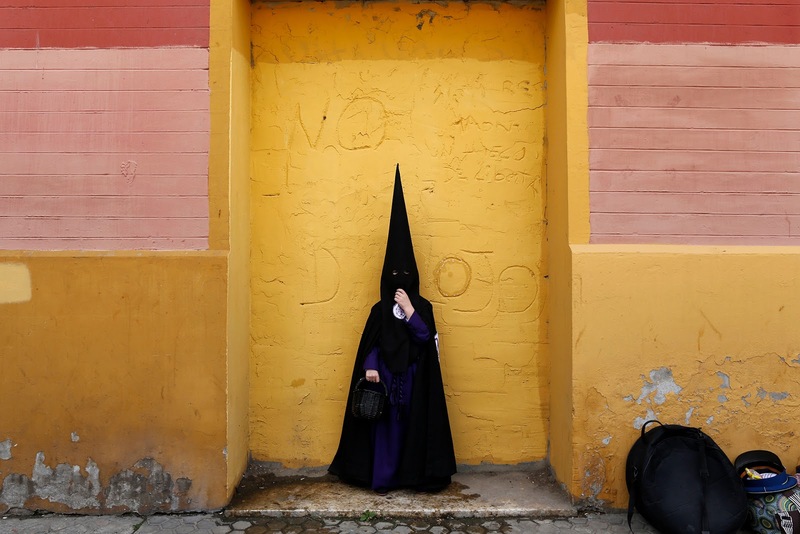 A number of penitentes, carrying wooden crosses, making public penance. 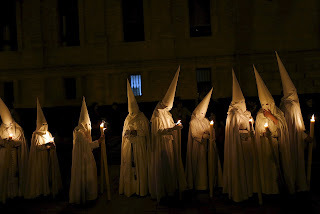 They wear the habit and the hood of the brotherhood, but the hood is not pointed. Nothing says earthly stewardship like re-gifting donated plants! Bravo, Gaia Warrior Pope Francis! Archbishop Diarmuid Martin of Dublin paid tribute to the courage of Catholic priests who ministered to the wounded and dying during the Easter Rising of 1916. 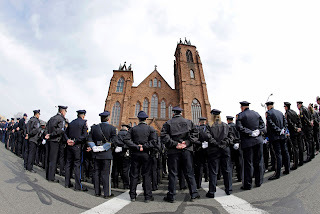 At a St. Patrick's Day Mass, the archbishop recalled the bloodshed that occurred at the general post office nearby 100 years ago. He said that rebel leaders "drew courage from their faith to know how to life (sp?) and face death." 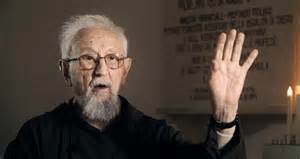 He pointed out that even some noted rebels who were estranged from the Church "received the sacraments before their execution." So the Easter Rising of 1916 took place on St. Patrick's Day? No....it started April 24th (Easter Monday). Luckily, the Catholics were there to help the wounded. 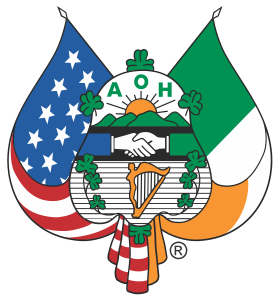 Except for the Ancient Order of Hibernians, a Catholic group in the middle of the fight. 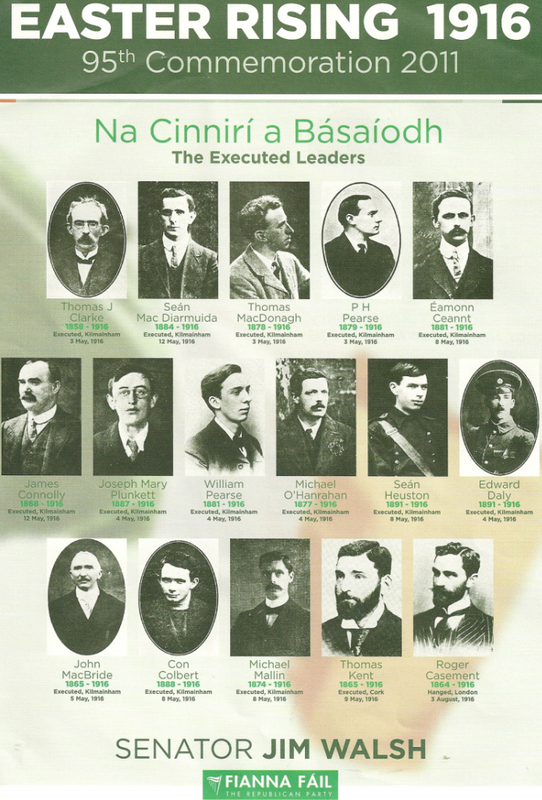 The Easter Rising lasted from Easter Monday 24 April 1916 to Easter Saturday 29 April 1916. Annual commemorations, rather than taking place on 24–29 April, are typically based on the date of Easter, which is a moveable feast. For example, the annual military parade is on Easter Sunday; the date of coming into force of the Republic of Ireland Act 1948 was symbolically chosen as Easter Monday (18 April) 1949. 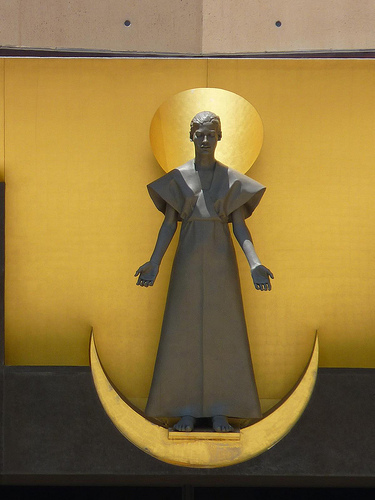 The official programme of centenary events in 2016 climaxes from 25 March (Good Friday) to 2 April (Easter Saturday) with other events earlier and later in the year taking place on the calendrical anniversaries. So we note the celebration on Easter Monday, which this year is March 28th Or not. Or St. Patrick's Day. Or not. 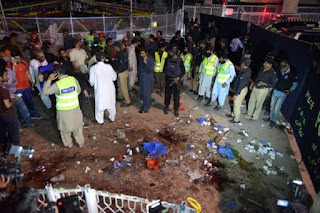 The British Army reported casualties of 116 dead, 368 wounded and nine missing.Sixteen policemen died, and 29 were wounded. Rebel and civilian casualties were 318 dead and 2,217 wounded. The Volunteers and ICA recorded 64 killed in action, but otherwise Irish casualties were not divided into rebels and civilians. All 16 police fatalities and 22 of the British soldiers killed were Irishmen British families came to Dublin Castle in May 1916 to reclaim the bodies and funerals were arranged. British bodies which were not claimed were given military funerals in Grangerman Military Cemetery. The destruction of Sodom and Gomorrah? The frog downpour in Egypt? The Holy Innocence? Noah and the flood? A day in the life of Job? How about this (Paul's Letter to the Romans)? Let every person be subordinate to the higher authorities, for there is no authority except from God, and those that exist have been established by God. Therefore, whoever resists authority opposes what God has appointed, and those who oppose it will bring judgment upon themselves. For rulers are not a cause of fear to good conduct, but to evil. Do you wish to have no fear of authority? Then do what is good and you will receive approval from it, for it is a servant of God for your good. But if you do evil, be afraid, for it does not bear the sword without purpose; it is the servant of God to inflict wrath on the evildoer. Therefore, it is necessary to be subject not only because of the wrath but also because of conscience. This is why you also pay taxes, for the authorities are ministers of God, devoting themselves to this very thing. Pay to all their dues, taxes to whom taxes are due, toll to whom toll is due, respect to whom respect is due, honor to whom honor is due. 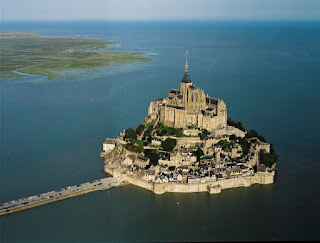 High atop Mont St. Michel in France is a gilded statue of St. Michael. It is being repaired and additional lightning rods attached top it. He was attached to a line to a helicopter and off he went! I could not figure how to imbed the video, but it is worth watching! This is another video from La Figaro in France. Really long annoying ads to start, but a fun view of the flying Michael! Saint Patrick - Comedy GOLD! Sorry....I know I've posted this before, but it cracks me up. Shrines to the Left of Me, Relics to the Right! 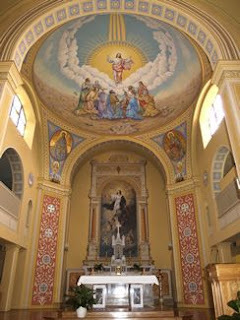 I didn't even know there was a shrine in Perryville, but there is: The National Shrine of Our Lady of the Miraculous Medal. We have exciting news to share! 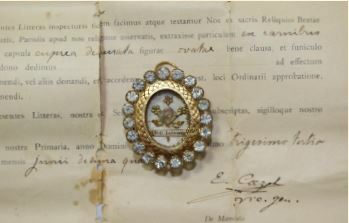 Earlier this year a young man, who wishes to remain anonymous, gifted the National Shrine of Our Lady of the Miraculous Medal with an heirloom, first-class relic of St. Catherine Labouré.The relic was given to his grandmother by a priest friend and was then passed on to the young man years later. After prayerful consideration, he felt sure the relic belonged in a place where it could be seen and venerated by the public—not hidden away in his safety deposit box. He found our Lady’s Shrine while searching the internet and made a special visit to Perryville to “check us out.” After his visit and tour of the Shrine, the grounds, and the Miraculous Medal office, he knew in his heart that he had found the right home for his relic of St. Catherine to reside. Of course, we are honored and blessed that this young man chose to pass on his precious heirloom to us. Now that we have prepared St. Catherine’s relic for veneration here at our Lady’s Shrine, it will be available every Monday night before and after the Miraculous Medal Novena which begins at 7:15 p.m. (followed by Mass at 7:30 p.m.). (CNSNews.com) – Chaldean Catholic priest Father Douglas Bazi spoke at the National Press Club Thursday calling on the U.S. State Department to recognize the genocide of Christians in the Middle East at the hands of ISIS. 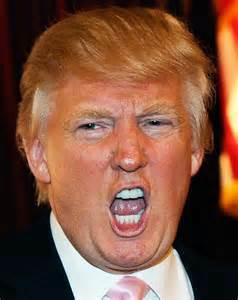 “I’m begging here--begging people of America to recognize it as a genocide," he said. Bazi, a parish priest in Erbil, Iraq, who was also born and raised in Iraq, described the persecution he and his parishioners have faced there. “My church in Baghdad been blowed up, blowed up in front of me,” Bazi said. “I survived twice. They bombed my car. I got shot in my leg by an AK-47. “I was kidnapped for nine days. 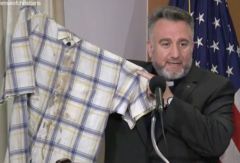 They used the hammer to broke my teeth, my nose, and my back,” Bazi said, adding that he still keeps the shirt he was kidnapped in, holding it up for reporters to see faded blood stains. The University of Notre Dame says it is making a statement against a "toxic political environment" by honoring Democratic Vice President Joe Biden and Republican former House Speaker John Boehner with its coveted 2016 Laetare Medal. "It is a good time to remind ourselves what lives dedicated to genuine public service in politics look like," Rev. John I. Jenkins, president of Notre Dame, said in revealing the award Saturday, Catholic News Service. 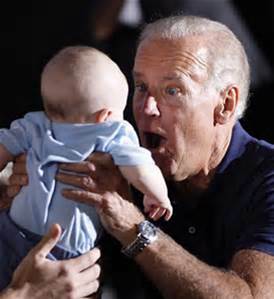 Honoring Biden, who holds a pro-choice political position even though he says he personally believes life begins at conception, is being seen by some as Notre Dame's public rejection of the U.S. Conference of Catholic bishops' 2004 statement on "Catholics in Political Life" which stressed that "Catholic institutions should not honor those who act in defiance of our fundamental moral principles. 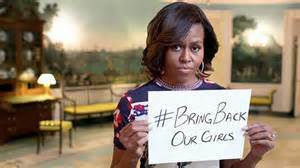 They should not be given awards, honors or platforms which would suggest support for their actions." In a video recorded for an awards ceremony taking place in Dubai, Pope Francis announced that a Palestinian woman has won the Varkey Foundation’s second annual Global Teacher Prize. The foundation was founded by Sunny Varkey, an Indian entrepreneur who runs a large network of private schools. “I would like to congratulate the teacher Hanan Al Hroub for winning this prestigious prize due to the importance she gives to the role of play in a child’s education,” the Pope said. The problem? THERE IS NO COUNTRY CALLED PALESTINE. 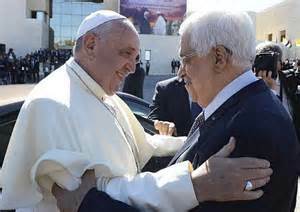 The Vatican has recognized a "Palestinian State" but where is it? 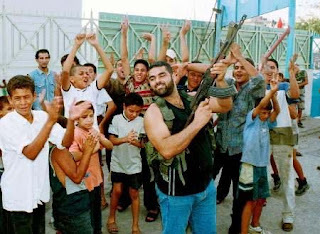 West Bank? Gaza? Jordan? Lebanon? 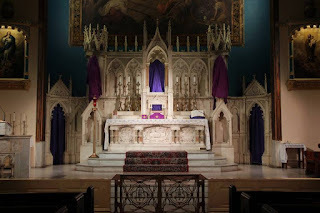 Before the revision of the liturgical calendar, however, Passiontide was the period of Lent that commemorates the increasing revelation of Christ's divinity and His movement toward Jerusalem. 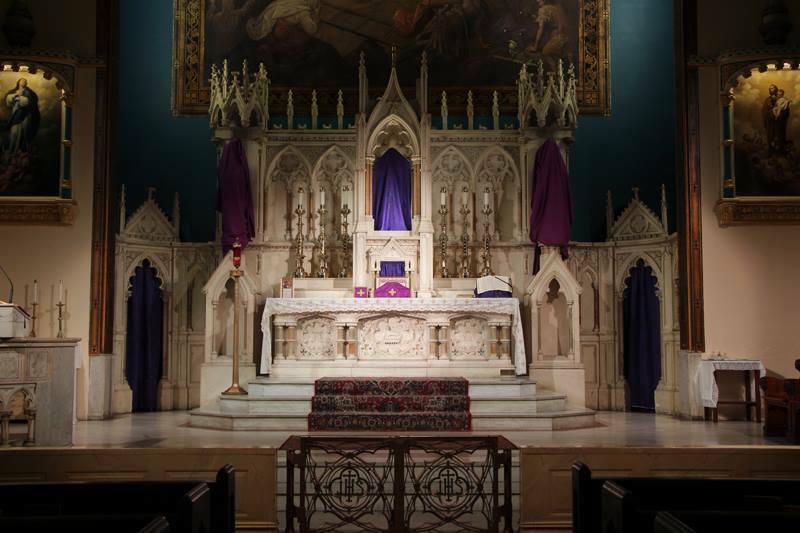 Holy Week was the second week of Passiontide, which began with the Fifth Sunday in Lent, which was known as Passion Sunday. 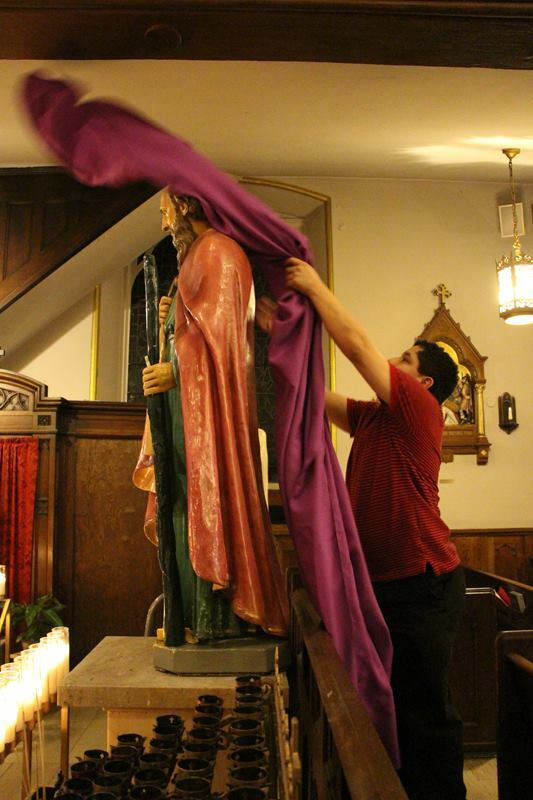 (The Fifth Week of Lent was likewise known as Passion Week.) Thus Passion Sunday and Palm Sunday were (unlike today) separate celebrations. The revised calendar is used in the Ordinary Form of the Mass (the Novus Ordus), which is the form of the Mass celebrated in most parishes. 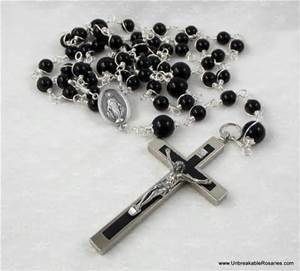 One may gain a partial indulgence for the Rosary's recitation in whole or in part in other circumstances. The largest jackpot in Vatican history — now an estimated 700 million indulgences – will be up for grabs in Saturday night’s drawing after no one produced the combination of 40, 33, 12, 10, 3 and the Powerball of 7 to win Wednesday night’s 524 million indulgence jackpot. The jackpot would have had an estimated value of about 157,200 “days” off purgatory, according to the Vatican’s Powerball website. The final “take-home” amount depends on an individual’s state in life, Malinda Totti, the executive director of the Vatican Lottery, told EOTT. The largest Vatican indulgence jackpot to date was won in three countries in April 2012, when the Mega Millions Rosaries drawing reached a whopping 656 million rosaries said on behalf of the winners. In the past 13 years, 16 Indulgence Powerball winners have either bought their tickets in Malta or the Philippines, more than any other countries. 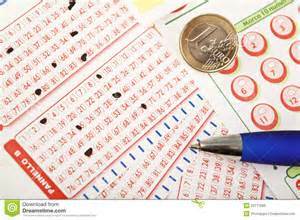 Winners are advised to sign the lottery ticket as soon as they get the chance. A baptismal certificate and proof of confirmation, along with the signed ticket, are required to claim the indulgences. Totti went on to caution winners about the temptation of abusing their new-found spiritual wealth, saying that some past winners have squandered their extra-sacramental remission of temporal punishment within just a few years after winning. In a striking rebuke to Pope Francis, an editorial posted on the web site of the Archdiocese of Mexico City argues that the Pontiff was misinformed when he criticized the Mexican hierarchy. During his February visit to Mexico, Pope Francis urged the country's bishops not to identify themselves with the wealthy and powerful but to serve the poor. "We do not need princes," the Pontiff said. In its online response, the Mexico City archdiocese responded: "The Mexican bishops have been accompanying the suffering, downtrodden people, devoting their lives to others and not living like 'princes.'" The editorial suggests that Pope Francis had based his criticism on inaccurate reports about the state of the Church in Mexico. 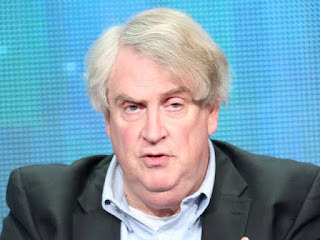 "Who gave the Pope bad advice?" the online essay asks. HA! He was just misinformed, like Rick in "Casablanca". 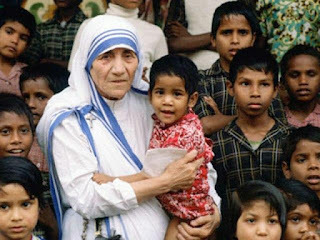 Pope Francis lamented the March 4 killing of four Missionaries of Charity and 12 others at a home for the elderly in Aden, Yemen. Two of the religious sisters were from Rwanda; the others came from India and Kenya. A senior official of Aden's local government told Xinhua that suspected gunmen of the Yemen-based affiliate of the Islamic State (IS) group were behind the terrorist attack. The previous post said at Our Lady of the Rosary Church in Springfield, reconciliation was available in Polish. 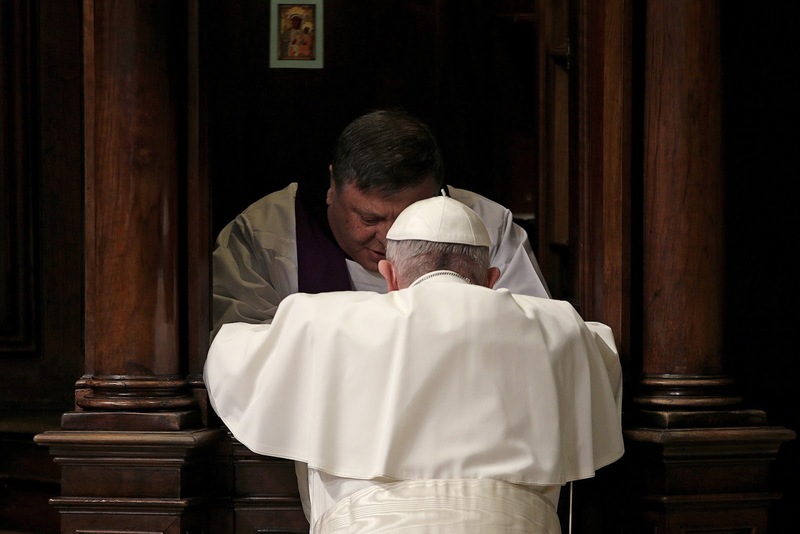 Does Pope Francis go to confession in Spanish? Or Latin? I'll ask him next time we speak to each other. We Salute You, Diocese of Springfield, Massachusetts! 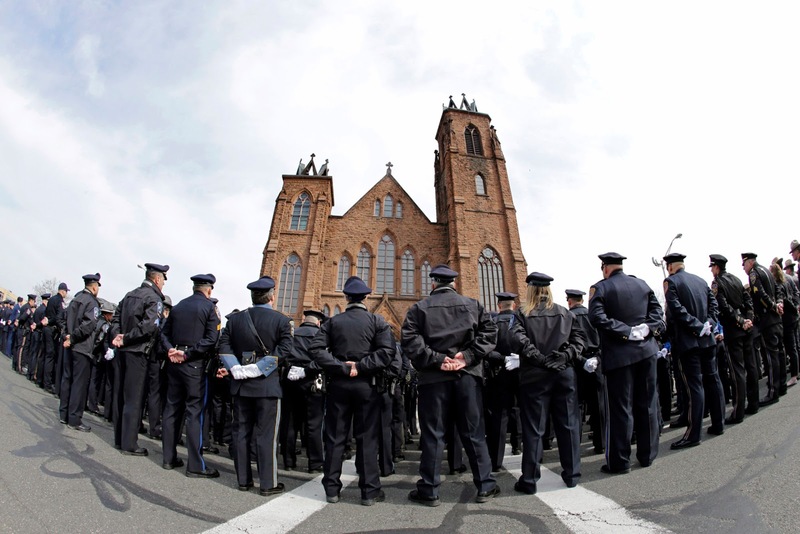 Police stand outside Sacred Heart Church for the funeral of Prince William County, Va., Police Officer Ashley Guindon in Springfield, Mass. A newly-sworn-in Virginia cop was fatally shot and two other officers were wounded while responding to a fatal domestic related incident, the Prince William County Police Department said late Saturday. Officer Ashley Guindon died from injuries sustained in the shooting in Woodbridge, the police department said shortly after 10:30 p.m.
Police Sgt. Jonathan Perok said Guindon had been sworn in on Friday and was working her first shift on Saturday when she was killed. In welcoming Guindon and another officer to the force Friday, the department tweeted their photo and said, "be safe!" The Roman Catholic Bishop of Springfield, a corporate sole, is the civil corporate name for the Diocese of Springfield. 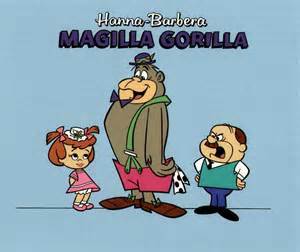 The Bishop of Springfield is the head of the corporation. 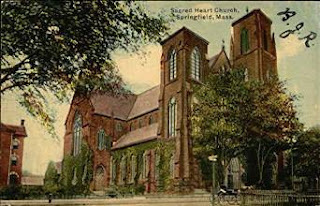 The Roman Catholic Diocese of Springfield, which was erected on June 14, 1870, operates under both civil law and canon law (the law of the Church). 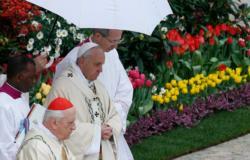 It is comprised of 81 parishes and 9 missions with more than 217,000 Catholics. There are 184 priests throughout the four western counties of Massachusetts (Berkshire, Franklin, Hampden and Hampshire). The diocese educates just over 3,100 students in 14 elementary schools, 4 high schools and 1 college. The diocese supports our laity and public with extensive services, such as providing eleven homes for the aged, a hospital, a health care center, and a day care center. On August 12, 2014 Bishop Mitchell T. Rozanski was installed as the 9th Bishop of Springfield. Retired Bishop Timothy A. McDonnell (8th Bishop of Springfield) continues to reside in the Diocese and takes part in the life of the Catholic community here. There are several religious houses in our diocese, including the cloistered orders of the Visitation and Dominican nuns and numerous motherhouses including Sisters of St. Joseph, Sisters of Providence, Franciscan Missionary Sisters of Assisi and Daughters of the Heart of Mary. Other orders are present in the diocese. Among the religious men represented in the diocese, we have the Marian Fathers & Brothers, Franciscans, LaSalettes, Passionists and Stigmatines. 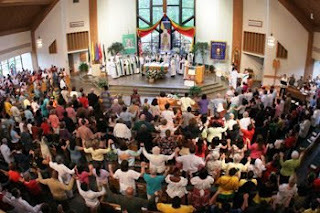 3rd Sunday of month Haitian Creole Mass 5:00 p.m. Knock Knock. Knock Knock. Knock Knock. 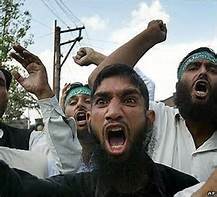 It's Opposite Day in Boston Redux!